I had been to Shima once a few months back with friends, but was too busy enjoying my friends' company that I didn't really get a chance to appreciate the food. I stumbled upon Shima a second time merely because the nearby restaurant I really wanted to try was closed. As luck would have it, I fell in love with this slightly run down hole in the wall on my second visit. 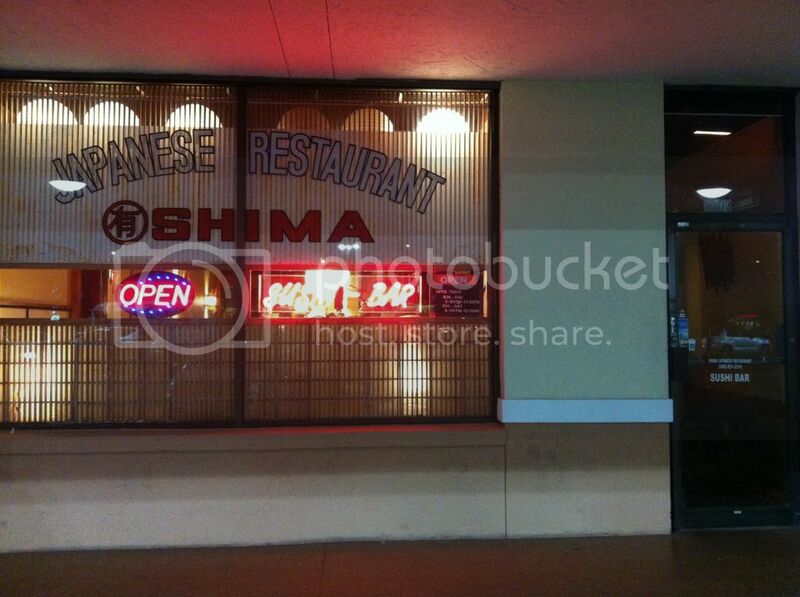 The restaurant is in a large shopping plaza in Miami Lakes between an adult day care and a check cashing place. 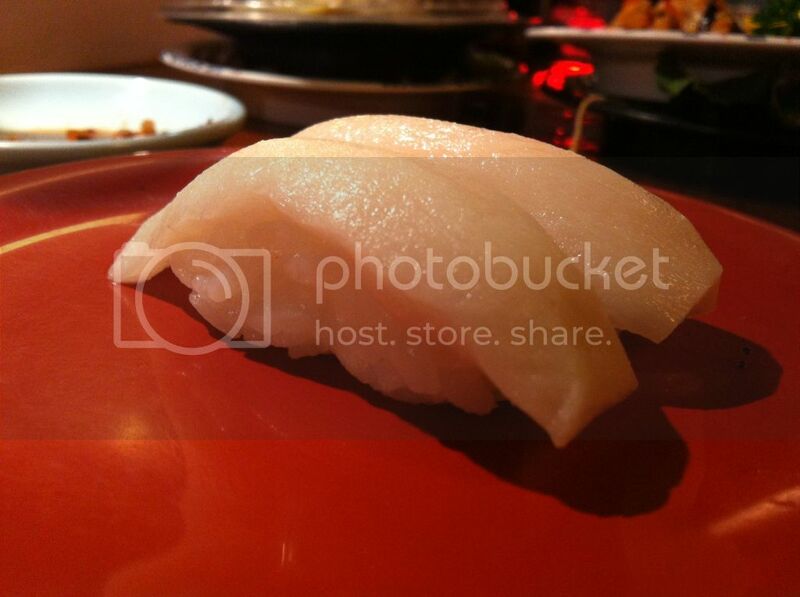 Completely unassuming, this little gem offers both freshly cut sashimi, nigiri and maki rolls along their boat river. Not interested in any of the dishes floating along? No worries, they also have a full menu with noodles, bento boxes, rice bowls and even a hot pot for two. I'd be lying if I said I had ordered from their menu, I'll blame my self diagnosed ADHD for that. I see something delicious pass by in front of me and I'm going to reach out and grab it :insert perverted joke here: Everything I've ever eaten at this restaurant has been off of the floating boats and the prices on dishes range from $1.90 to $3.90. 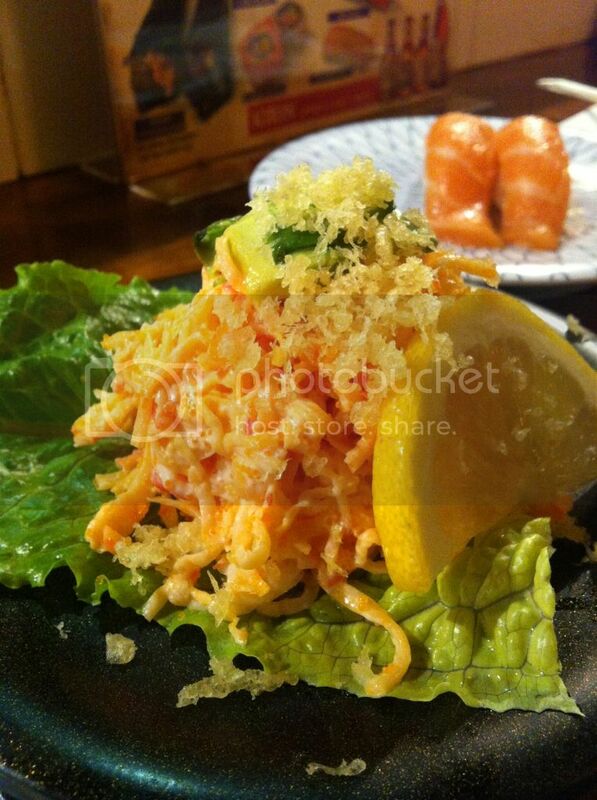 The sushi chef is always kind enough to make you something specific or explain a dish if you're not familiar with it. 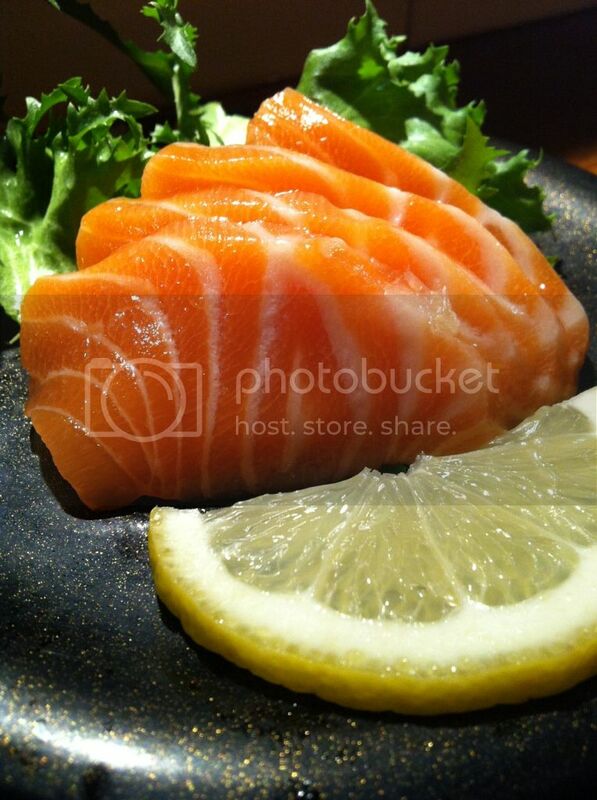 On my first visit I remember seeing the chef slice up some fresh salmon and set it on a plate and off it went. 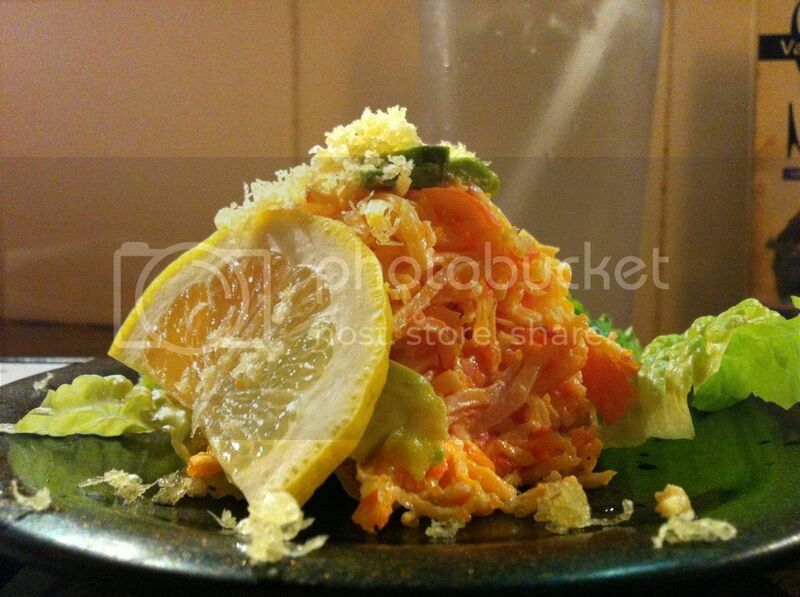 I grabbed that dish within seconds and that salmon melted in my mouth. Beautifully sliced and ridiculously fresh. 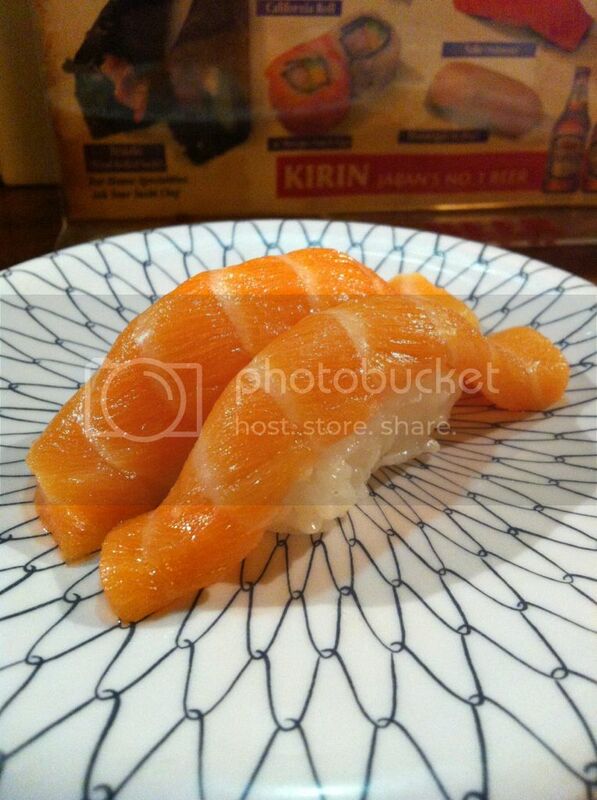 The salmon nigiri is also a must if you prefer your salmon with a little bit of rice. Up next I had their crab salad, which I've come to realize is insanely addictive. 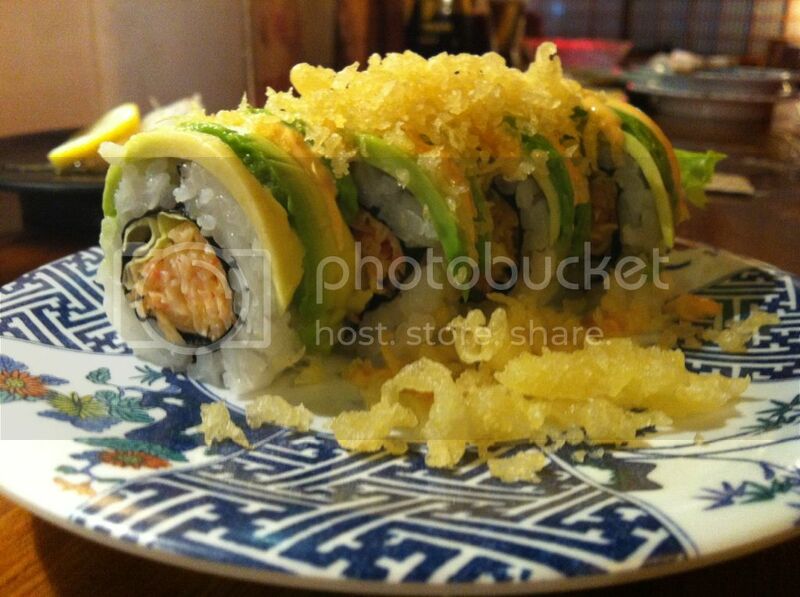 It's topped with freshly sliced avocado and tempura for added crunch. I've had at least one of these salads on every single one of my visits. The flavor is fresh, creamy (thanks to the avocado) and light. I've also had their beef sashimi several times, it has a little bit of spice and the daikon it's served with gives it an added kick. The beef is slightly seared, and very much rare. 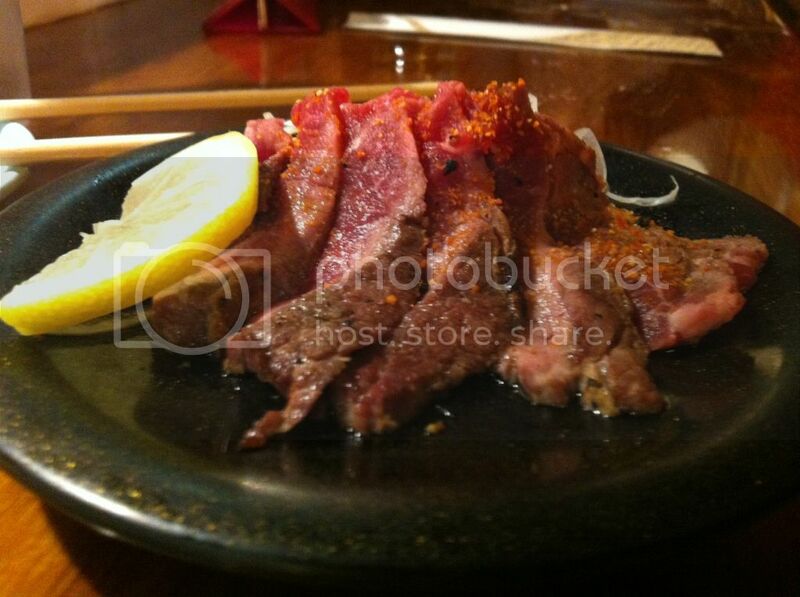 The meat is always tender and practically disintegrates in your mouth. I've also had their escarole nigiri, which as the sushi chef warns you should not have too much of because of the type of fish. He mentions, "It's a dangerous fish. Barracuda family. No more than 6 pieces for you." This was another freshly cut, beautiful piece of fresh fish, but I heeded the chef's warning and stuck to only a couple pieces. I've had a couple of their rolls, including their spicy crab roll topped with masago and what I'm assuming is their take on a California roll. Since the rolls don't come with an explanation, you're completely dependent on your eyes. Both rolls were great, filling and always fresh. 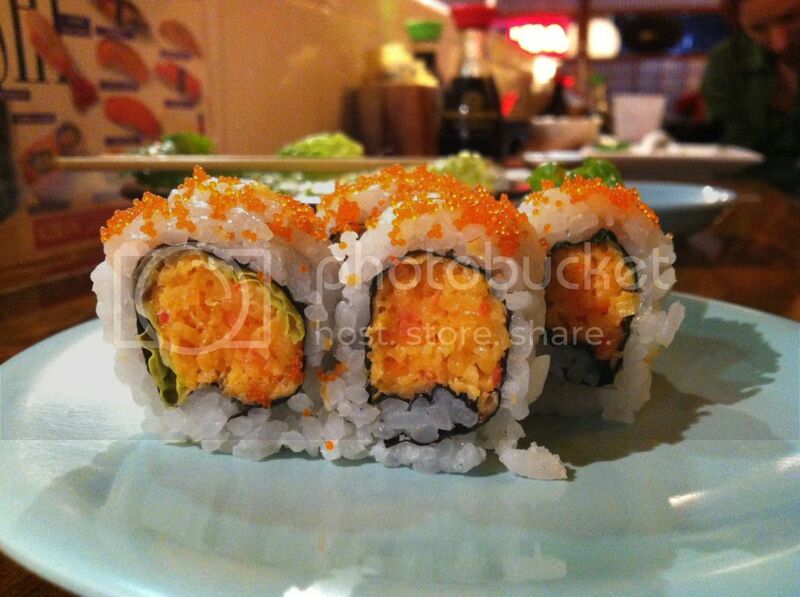 The California roll uses lettuce instead of cucumber, same crunch but slightly different taste. This works for me because I kind of hate cucumbers. 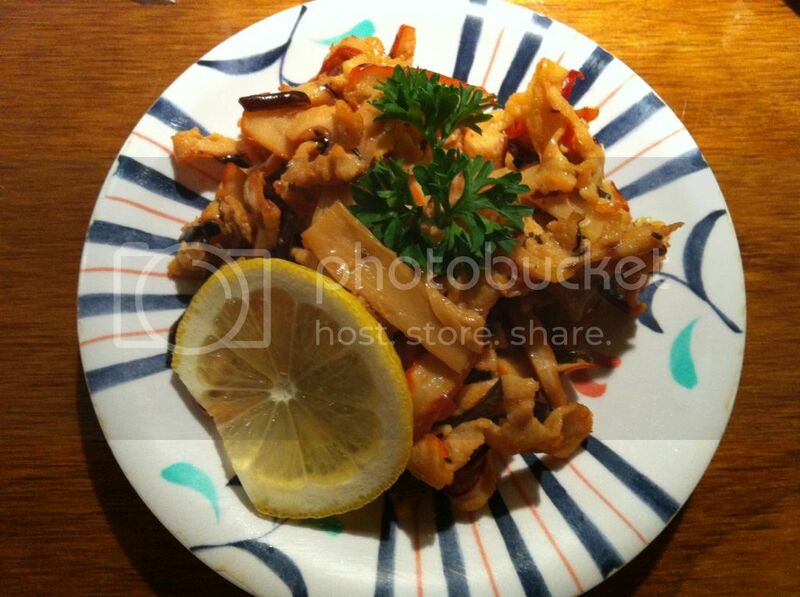 The only dish I haven't been crazy about is their spicy squid salad. 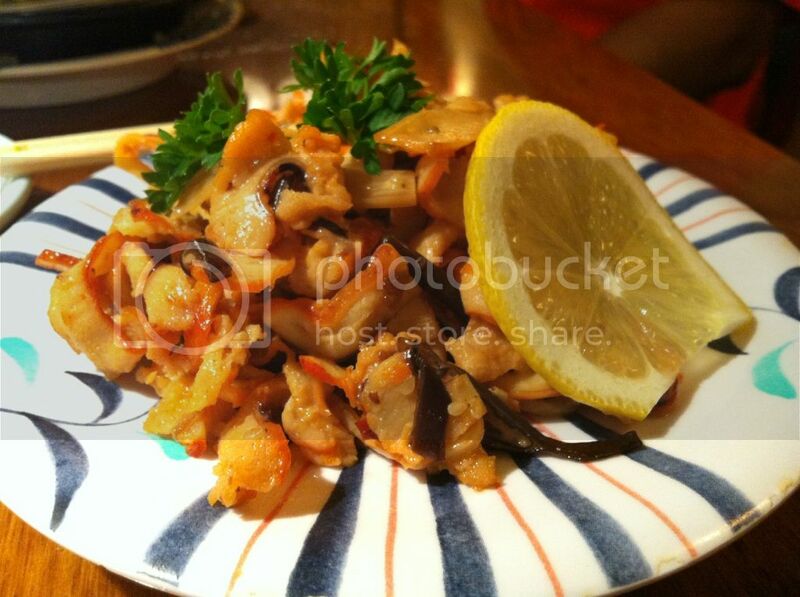 Although tasty, the squid was really chewy. I hate having to gnaw at my food like I'm a dog with a chew toy. It's a shame because the seasoning was perfect, but the texture of the squid killed it for me. On the exterior (and interior) this place isn't the most luxurious sushi restaurant in town, but the food is fresh, honest and delicious. 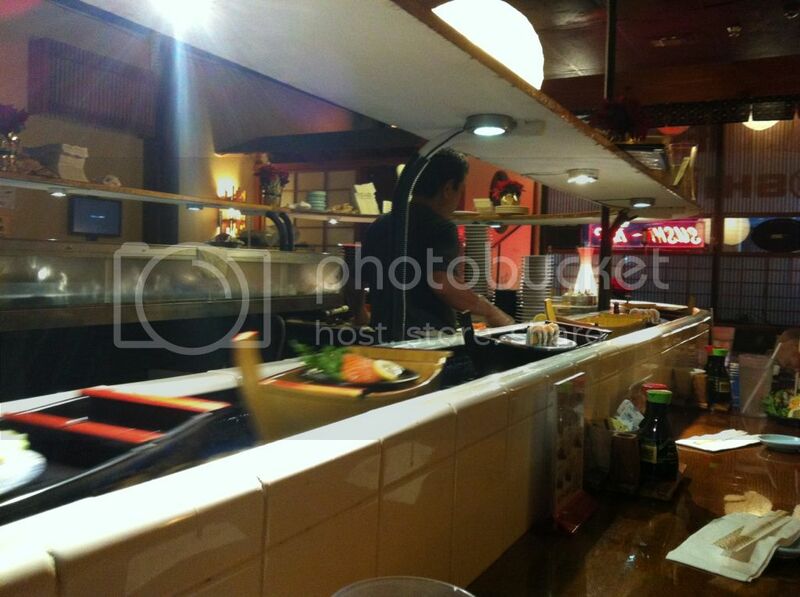 Along with sushi, you'll also see tempura veggies, shrimp and the occasional dumpling float along from the kitchen. This is the type of place you hit up when you want sushi close to home, in a relaxed environment and don't feel like dressing up for dinner. I've yet to be terribly disappointed at this restaurant and realize the trick is to sit close to the sushi chef to get the freshest of the fresh. I'm in love with your post! I must get out and look for a sushi place. Some sake wouldn't hurt, too. I like traditions. Wink!